By Send2Press Newswire on April 18, 2011 in Banking and Finance, Business, New Jersey, Politics, Press Releases, WALL, N.J.
WALL, N.J., April 18 (SEND2PRESS NEWSWIRE) — David Walker, former Comptroller General of the United States, will team up with market commentator Peter Grandich and his Trinity Financial Sports & Entertainment Management Co. to promote The Comeback America Initiative (CAI) and No Labels – organizations, both of which Walker is a founder, aimed at helping bring America back to the common sense principles upon which our country was founded. Grandich says that by aligning with Walker to help promote his two non-profits, he will be encouraging the celebrity athletes and entertainers with whom he is associated to actively support Walker’s causes. About the Comeback America Initiative: The mission of the non-partisan Comeback America Initiative is to promote fiscal responsibility and sustainability in order to achieve solutions to America’s fiscal imbalances. Their vision is clear and simply idealistic: “Keep America great and the American Dream alive for future generations.” For more information, visit the organization’s website at www.tcaii.org . The No Labels Movement was born out the desire for American lawmakers to put aside their partisan politics and do what is right for America. The non-partisan group encourages a return to the essence of our beliefs including a government and political system that works – driven by shared purpose, common sense and progress over partisanship. As their website states so clearly, “We are Democrats, Republicans, and Independents who are united in the belief that we do not have to give up our labels, merely put them aside to do what’s best for America.” For more information, visit the organization’s website at www.nolabels.org . Peter Grandich is the author of the internationally-followed market and economic blog, The Grandich Letter, at www.Grandich.com. The Grandich Letter blog is followed by investors from around the world and gets more than one million views per year. 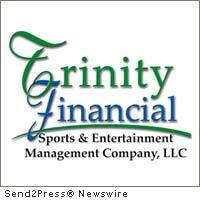 He is also founder of Trinity Financial Sports & Entertainment Management Co., Wall, NJ. – News RSS feed for Peter Grandich: https://send2pressnewswire.com/author/peter-grandich/feed .